Recorded in 2009 at Sound Solution Mastering studios in London Fields, this CD beautifully captures the live performance of the band. With a mix of tunes and songs, and some subtle arranging, there is plenty to keep you engaged. The songs are varied, and most have rarely been heard. 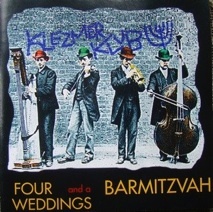 Sung in Yiddish but with full translations, they range from descriptions of hardship and poverty and the immigrant experience, to the light-hearted and upbeat expressions of street life in the Jewish East End. Clarinetist Jon Petter composed the Doina for Clapton and Hackney Hora specially for this CD, giving it one foot in social history, and the other confidently walking into the 21st century! 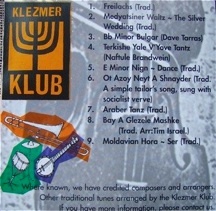 We recorded this CD over a decade ago in 1998 in The Steam Rooms, a community recording studio in Poplar, East London. It was recorded and mixed over just one weekend, and the ensuing album has a freshness and raw spirit to it that still pleases the ear after all these years. Below you can listen to a couple of tracks, and there are also 2 others on our myspace page. 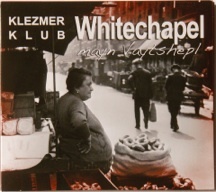 To see reviews of Whitechapel, Mayn Vaytshepl go to our Reviews page. To buy either of our CDs, click here.